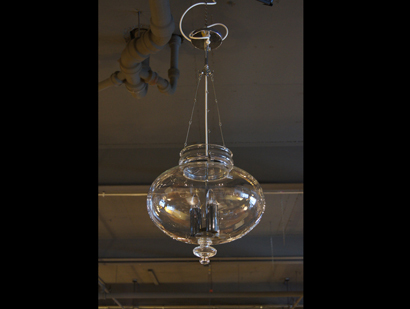 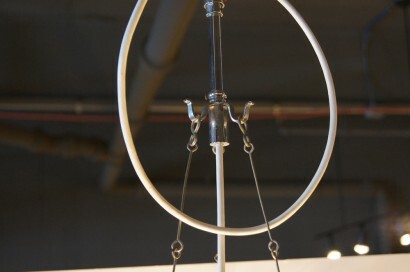 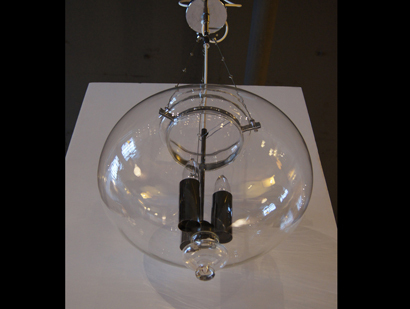 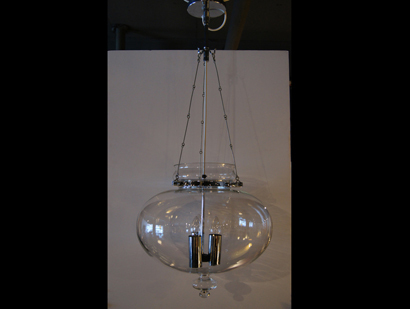 This hanging lamp was manufactured by Glashütte Limburg in Germany. 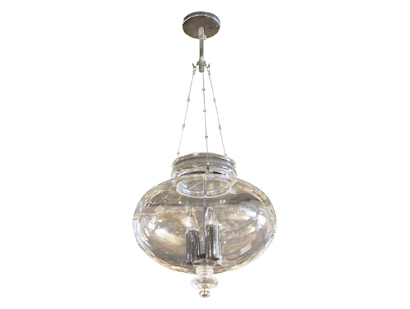 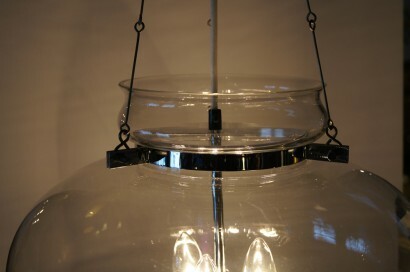 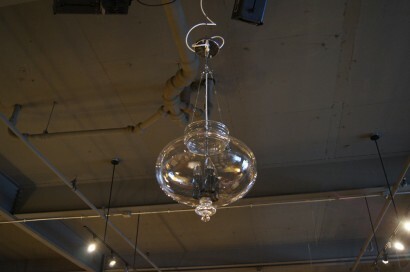 It is composed of blown glass with three chrome light fixtures. 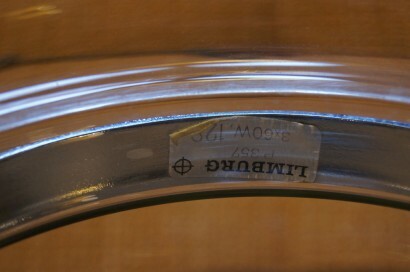 Original tag is intact.